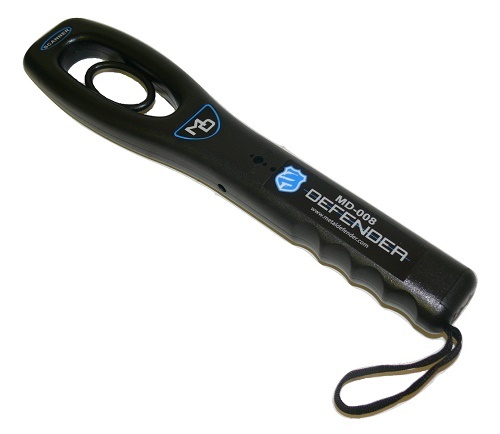 This GP008 Super Wand Handheld Metal Detector is designed to safeguard security-sensitive areas like schools, courtrooms, sports events, night club. etc. It is widely used for Airports, railway stations, customs, wharf, stadium (gymnasium), public security, frontier defense, to defend the security, check of the sector, precious metals testing (such as gold and silver jewelry factory, electronic components factory) and the place where need to detect the security. - Detection distance:The sensitivity of the detector is determined primarily by the size, shape and composition of the object to be detected. This metal detector works very well and does its job. Also can not be the price. Very light and durable. Can't go Wrong. Will be looking for a smaller handheld version in the future. But as for now it gets the job done.